Receding gums can lead to exposure of the roots of the teeth, leaving them vulnerable to damage. Gum tissue becomes recessed and changes the position of the gums in relation to the teeth. There are a number of common causes of receding gums. Not all causes are medical, however. Using a hard brush, or brushing and flossing too vigorously can cause your gums to recede. You may have receding gums if you have a genetic predisposition to the condition. People with abnormal tooth position may also develop receding gums over time. Grinding your teeth in your sleep – a condition known as bruxism – can lead to a number of problems including receding gums. More commonly, gum recession is caused by trauma to the gums, either through injury or infection. Most causes of receding gums are treatable with general dentistry at Green Dental. We can assess the needs of our Alexandria, VA, patients and offer suitable treatment options. Bleeding or swollen gums are a symptom of an underlying issue, such as gum disease. Green Dental can provide you with relief for bleeding or swollen gums. We provide therapies that treat both the symptoms and causes of your condition. 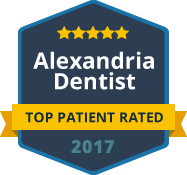 Green Dental provides excellence in dentistry for Alexandria, VA, patients and those from surrounding areas. Whether you need a simple cleaning, or root planing and scaling, Green Dental can provide you with your treatments all in one place. Convenience and understanding are core principles of Green Dental. We aim to provide our Alexandria patients with fast and effective treatments in a friendly and relaxed environment. Your Green Dental team is made up of dental professionals, dedicated to providing you with excellence in dentistry and service. Contact Green Dental of Alexandria today if you are having problems with receding, bleeding or swollen gums. We will book you an appointment right away and ensure you receive treatment at our Green Dental offices.